Do you often need to work hard using your mouse just because you need to click again and again for repetitive tasks? Then you probably need an effective mouse recorder software that can record you mouse clicks and free you from doing repetitive clicks. This software records mouse movement and clicks for you as per the configuration set by you. Here is the list of top mouse recorder software that we have prepared for you to help you get the best utility for your mouse recording needs. Mini Mouse is one of the powerful mouse automation software designed to record mouse movements, clicks as well as keyboard entries. 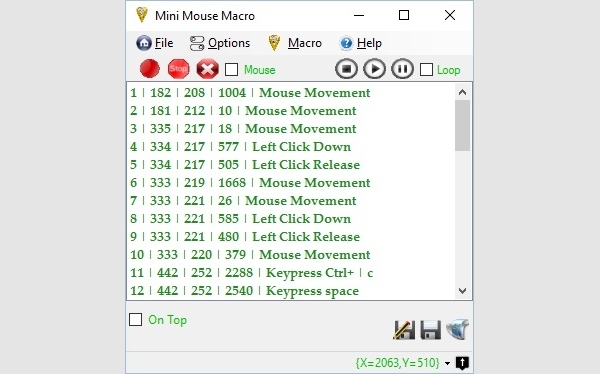 This mouse movement macro is ideal for online gaming, word processing, desktop publishing and more tasks which need repetitive mouse clicks. Get downloaded online for free and automate your mouse operations. ReMouse is an extremely simple mouse automation program that comes with three simple buttons that are recording, stop and playback to let you start, stop and replay mouse and keyboard recording functions. It comes with easy to use interface that lets you conveniently customize the configurations as per your project requirement. 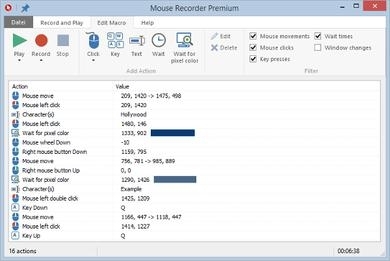 RoboSoft Mouse Recorder is a powerful and easy to use mouse recording tool that lets you record macros of your routine tasks and then repeat all those recorded actions accurately. It supports setting repeat time as well as the delay between two repeating. It comes with a mouse click tool that helps it in doing mouse clicks. 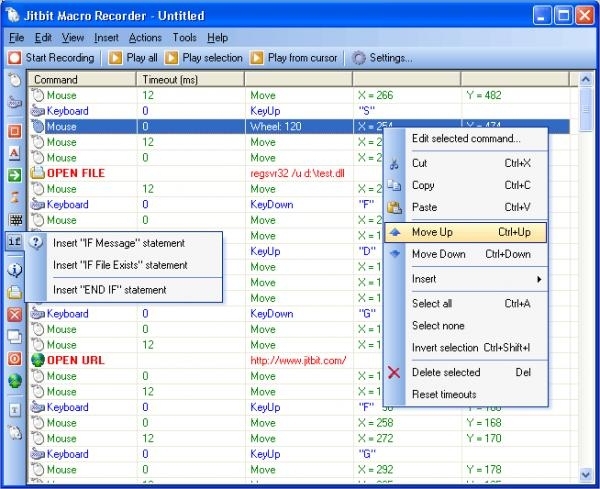 JitBit Macro Recorder is an advanced mouse automation tool for windows that not only records mouse clicks and movements but also converts macros to EXE files and more. Its smart-rec EXE-compiler compile to EXE and results in compressed and packed EXE file. It has adjustable speed and macro recording filters. Finding a specialized mouse recorder software that is meant particularly for your system? There is numerous such software developed for particular platforms like windows, Mac, Android and more which you can explore by searching online. Below are the two most trusted mouse recorder software for Windows and Mac that you can find useful. 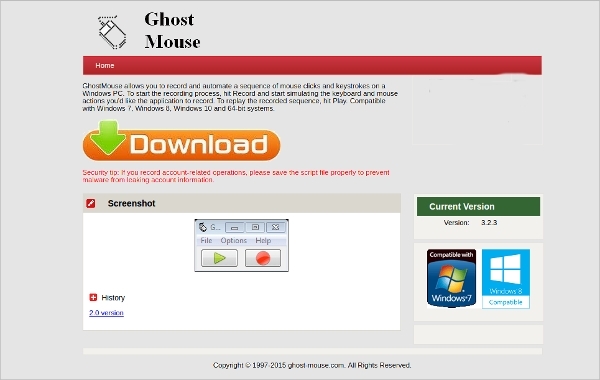 GhostMouse is one of the most popular windows mouse recorder software that records and then automate all the mouse clicks as well as keystrokes for your PC. This special windows program is compatible with Windows 7, 8, 10 and 64-bit systems. Get this software downloaded online today and automate all your repetitive mouse tasks. 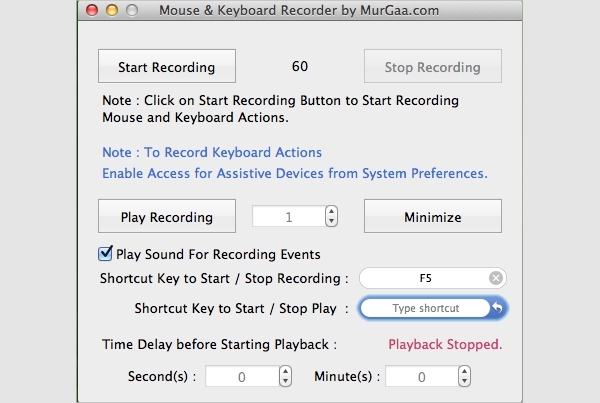 Try this powerful mouse and keyboard recorder software for Mac operating systems that record macros and playback all mouse as well as keyboard actions. It is compatible with all the latest versions of Mac OS with 10.6 version onwards. Whether you want to record mouse click, mouse movement, mouse scroll or more, this tool can do all this for you. What is Mouse Recorder Software? 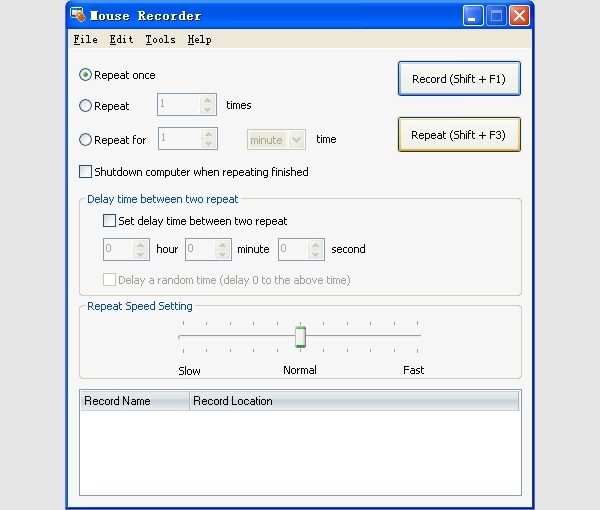 Mouse recorder software is a solution for you that can do this task for you. This software consists of such algorithms that record all your mouse actions, mouse movements, mouse scrolls and even keyboard entries and then repeat the same scenario again and again till you stop this software or till a defined time completes. These really eliminate your need of regular intervention thus making it easier for you to prevent your system from going to sleep mode. All the above listed are most reliable and trusted mouse macro software that we have brought to you on the basis of their ratings and reviews. So you can confidently download any of these software tools and start automating your mouse functions for your special tasks. You will never go wrong with these mouse recorder software programs.